A seriously contemporary take on outdoor furniture, this counter height outdoor dining set features four box style seats which offer versatility, and a pedestal style concrete outdoor table, all counter height to offer sitting or standing utility and gorgeous looks. 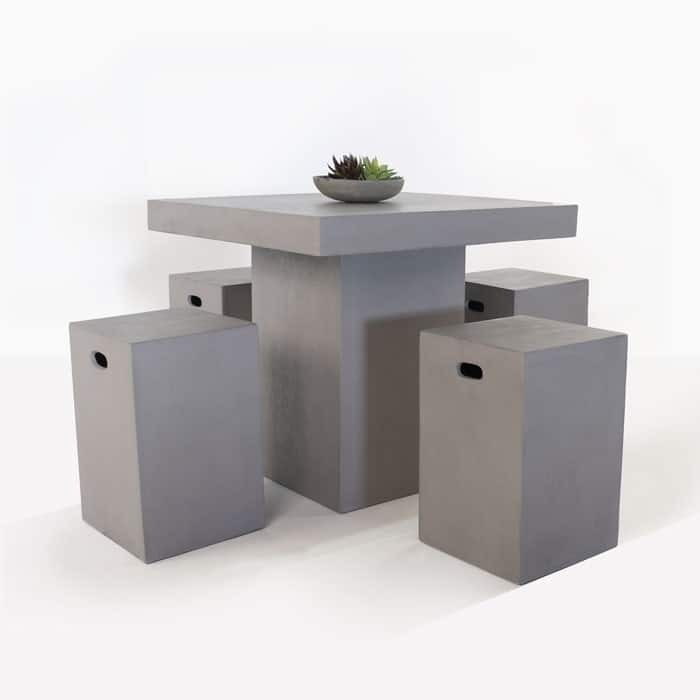 The smooth surface finish offers a great look over time and the natural concrete will age incredibly. Half the weight of traditional concrete and all the same great natural looks. 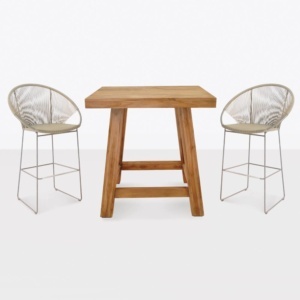 The box style stools are very versatile in any outdoor or indoor setting with easy mobility and strong looks. 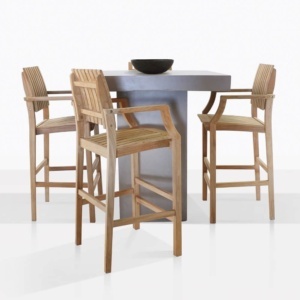 The pedestal style table is perfect for two or four for dinner and drinks.